John Keiserman regularly represents issuers, underwriters and lenders on asset-backed and mortgage-backed structured finance transactions, with an emphasis on automobile loan, automobile lease and dealer floor plan receivables-backed term deals and warehouses. John regularly advises securitization industry groups and informal groups of asset-backed security issuers on regulatory matters impacting these motor vehicle securitizations and has prepared numerous comment letters to regulatory bodies on these topics. 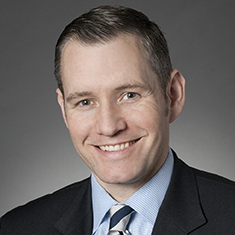 John also has represented issuers and underwriters on mortgage loan and home equity line of credit (HELOC) securitizations; issuers on equipment lease securitizations; monoline insurers and collateral managers on market value, cash flow and synthetic collateralized debt obligations (CDO) and collateralized loan obligations (CLO); issuers on franchise loan securitizations; and issuers and underwriters on numerous Latin American diversified payment rights and mortgage securitizations.